Spotted on Reddit. 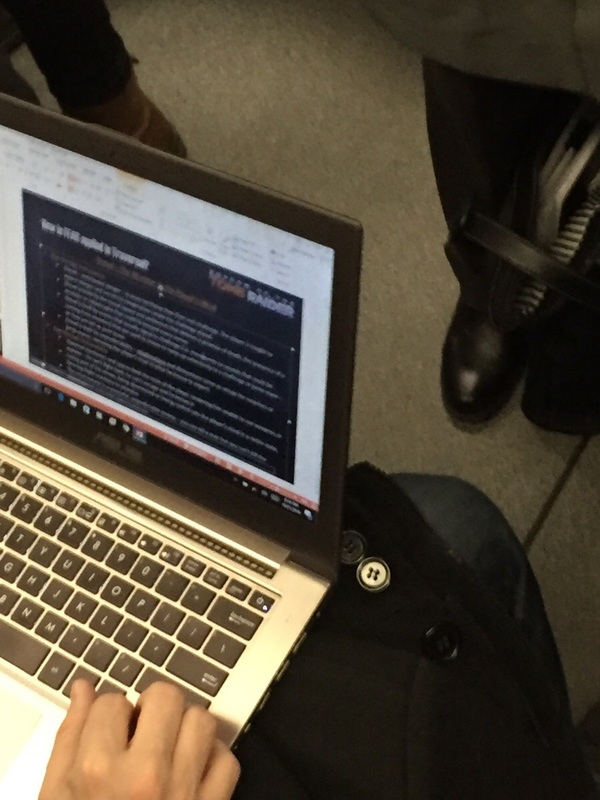 OP says they saw someone working on a presentation while riding the subway. Wouldn't be the first time a game has leaked this way. Image is of really poor quality though. I believe it. It also makes sense. If this is true, then they are 0 for 3 in regards to decent titles/names for this trilogy. Not unless it's about climbing giants and hitting them in their weak point and then you ride off on aggro. And sounds kinda legit tbh. Jonah... I'm already a monster. It's 2016 and people still fiddle with confidential Power Point presentations in public. It has its differences in terms of progression, but the action style is pretty much exactly the same. Rise of the Tomb Raider was amazing so I am down for this but.. The name sounds really lame and fake. Will they money hat again is the real question ? Surprise: It's actually a Shadow the Hedgehog and Tomb Raider crossover game! Honest question, is it confirmed it'll be a trilogy? Shot was taken at the Montreal subway, so maybe not something from the main series but a spin-off like Lara Croft GO? I'm ready. Loved the previous two. So dumb it makes it sound real. I guess we could hear news of it at E3 on 2017? After all, the game did launch in 2015. So it is already a year old with just ports/dlc coming after. Anyone else read it as "How is FEAR applied to traversal"? Will it have the nemesis system though? I don't think so, I'm just making a presumption based on the direction of a lot of franchises. Of course, in 8 years there could be a 4th game, and it'd be called Return of the Tomb Raider or something. Sounds like a title they can use. The first one is really good. I'm about halfway into the second one and not really enjoying the story or gameplay changes all that much. A game in which Lara Croft ventures into a mysterious land full of giant creatures and discovers treasures regarding a different mythology, one that tells a story of a love and loss. Assassin's Creed Brotherhood was leaked this way, but without a photo. hahahahahaha. Seems plausible but could easily be fake. Sounds like a reasonable title, I guess. Why does anyone work on something like this in public? Especially when someone could be standing behind you? Can't you wait to get home? After really enjoying the reboot I found Rise to be somewhat of an unfocused mess. If this follows in it's footsteps, I'm out. Wait a second, hold on. I'm back in. LMAO, first post strikes again. Never change, GAF. With a dumb name like that, this seems real.